That necklace is really cute. Love the whole outfit. Cute! 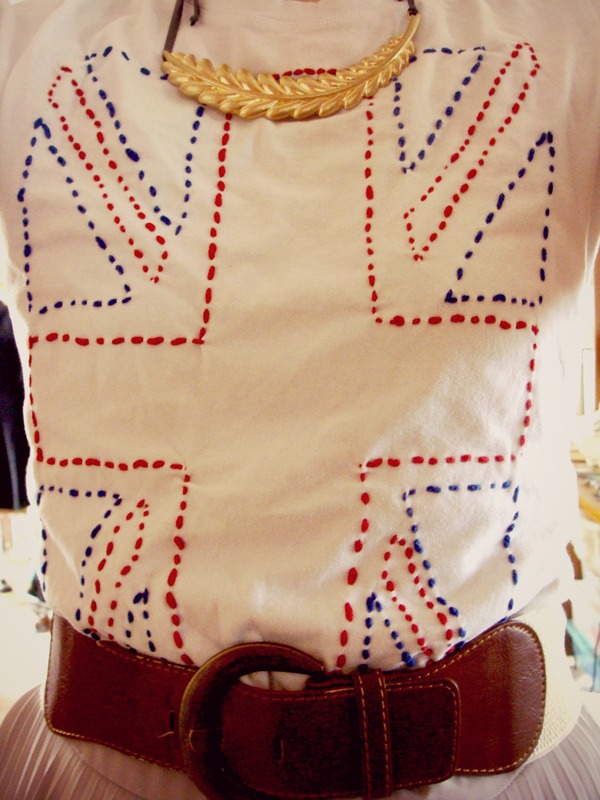 I love the idea of embroidering a union jack onto a tshirt! 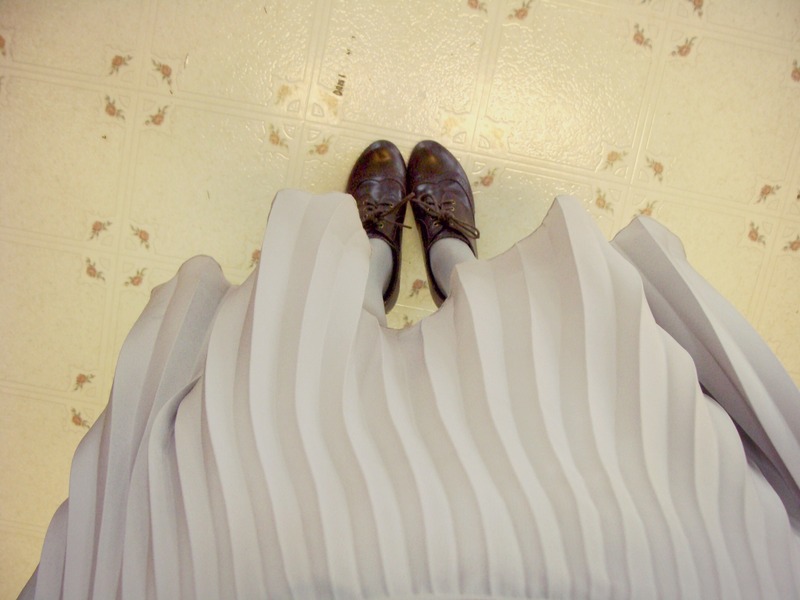 It could be cute to fill in the blank spaces with color as well...(: Love y.our skirt and shoes as well! And I'm definitely looking forward to the Doctor Who themed post! 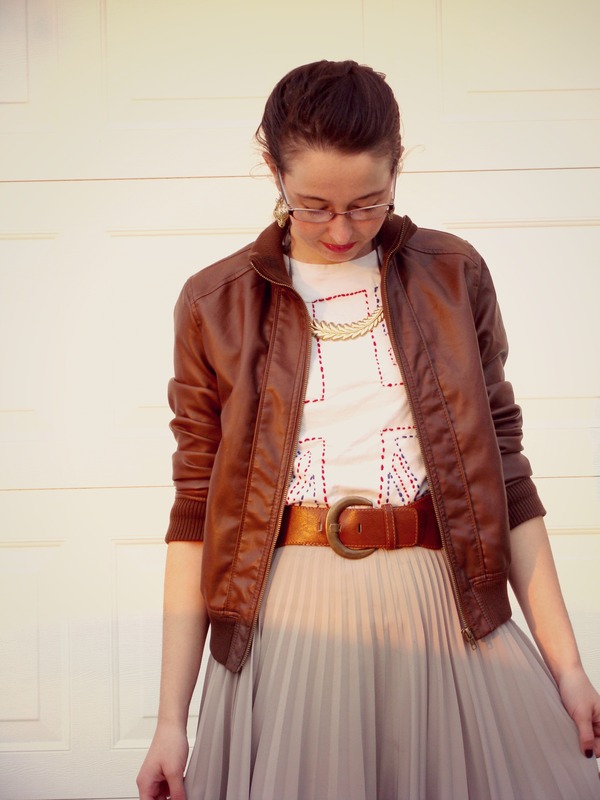 Really love this whole outfit, but especially the Union Jack tee!! Can't wait for the DIY. Oooh! 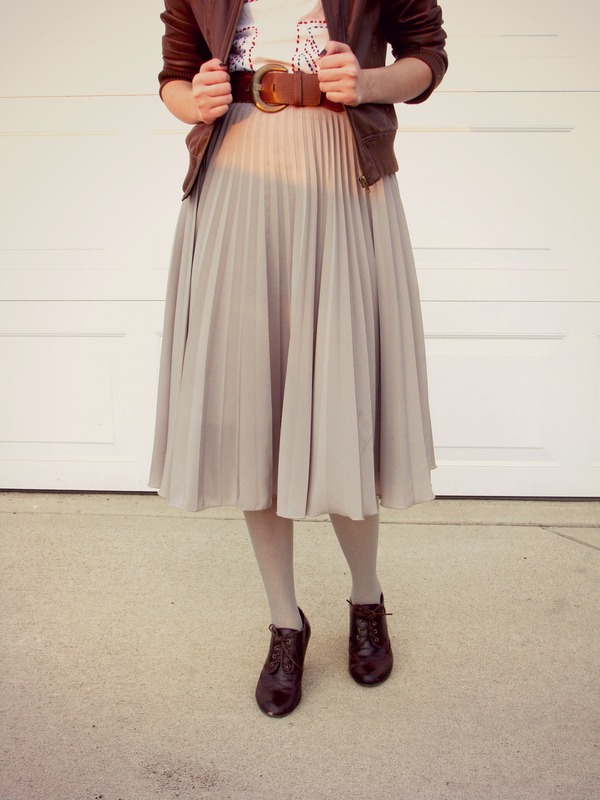 I wouldn't mind waiting to to do my DW fashion series during your blog party!! That will give me time to make a skirt inspired by 10's suit. ;D I can't wait to hear more about your DW blog party, dearie. Ooooohhhh Ashley! I love your outfit! and I can't wait to see the tutorial on the T-shirt. Fun stuff! Ah, your shirt is so cute! Tutorial, pretty please? What a great idea with the shirt! May need to copy.... Where did you find the original tee?